Leg Gel Vein Support Formula is the most effective formula for all ages and skin types to diminish the appearance of unsightly varicose veins, red spider veins, and capillary breaks.The refreshing aloe based formula includes Horse Chestnut, Arnica, Gota Kola, and Vitamins C, E, & K. Leg gel can be used on the entire body from head to toe to improve skin texture and revitalize the legs, face, and feet to sooth itching, swelling, and discomfort. 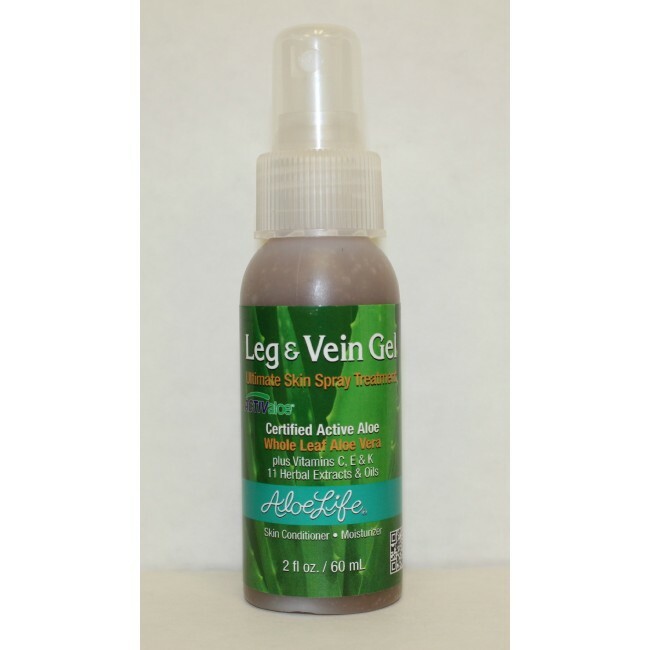 Leaves tired legs feeling toned, smooth, and relaxed. 60 days to more beautiful legs!